'Peeling In The Drum' is the second album from LA's Remy Lbo, continuing his exploration of off-centre instrumental hiphop. It's placed in good stead on the ace Porter Records label, home to some bravely weird and wonderful releases from the margins of electronica, experimental jazz and that unknown quality. 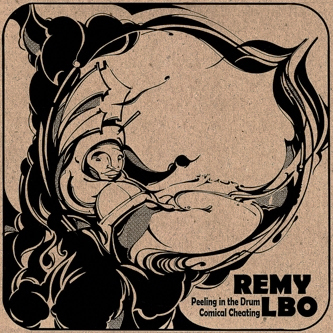 Remy plays all the instruments you'll hear, seamlessly mixed with subtle computer processing that only serves to enhance the skilled playing, not dominate it. Over the 14 tracks we're reminded of jazz-influenced cats like Dimlite, only on a more gentle, pastoral plane, taking in elements of prog-rock fusions and psyched improvisation to shape a really unique blend which also warrants comparisons to RZA and Madlib.